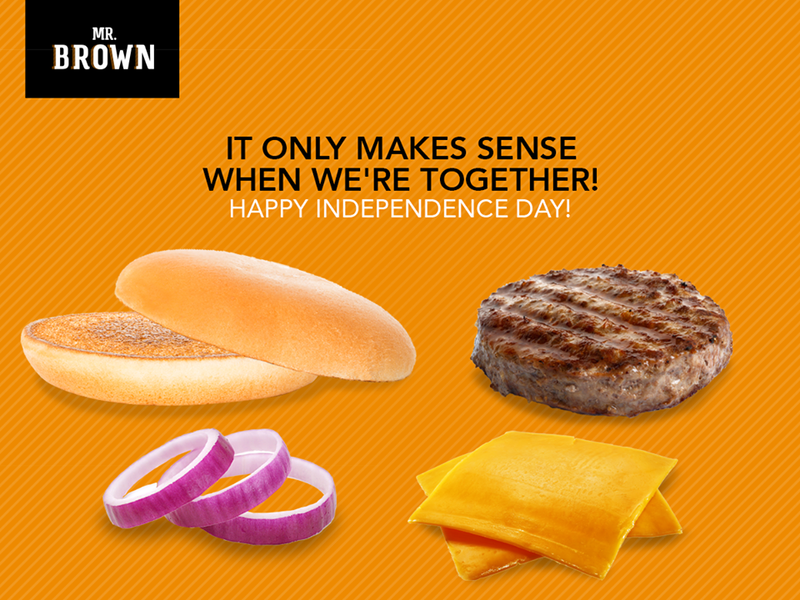 Mr. Brown has a great concept, "it only makes sense when we're together" and in the visual are seen the ingredients of a hamburger each separate from the other. 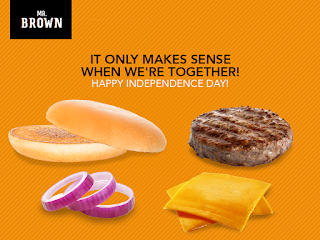 The ad would have been a smash if it had a better layout to serve it (as it is, the visual is simply plain strange!) - perhaps with time this deficiency will improve.